Nowadays, if you don’t have a vacuum cleaner that is convenient, yet still gets the job done, then you are missing out. Let’s face it, the last thing we want to do when vacuuming is to struggle getting the job done and then have to find a place to store the big bulky vacuum. With the Bissell Lift-Off Floors & More, Titanium, 53Y8 Vacuum, just about all of those problems are solved. Being able to convert your stick vacuum into a handheld vacuum is one of the most underrated features in the floor care industry today. Stick vacuums are great, but they can’t do everything. The same goes with handheld vacuums. But when you have both of them combined in a single machine, you just can’t go wrong. The combination of the low profile of the head and the 2-way folding handle are some of the best things that people like about this vacuum. It makes it easy to get underneath furniture and other hard-to-reach areas. And since the handle folds up, it is also easy to find a place to store it. The Bissell Lift-Off Floors & More, Titanium, 53Y8 Vacuum is also good with picking up pet hair. It works best on hard floors, but it can also clean carpets as well. 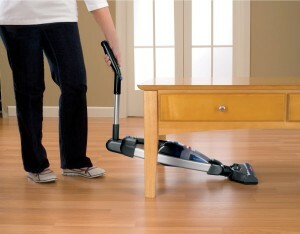 Dust and dirt can accumulate in some of the tightest corners, but this Bissell vacuum can handle just about any of it. The versatility makes it a great vacuum overall! A lot of people have complained that the storage capacity isn’t up to the standard that they would expect. With the vacuum being cordless, you just want to continue vacuuming without having to stop. However, the small dirt cup makes you stop more frequently than desired at times. The duration of the strong suction also isn’t as good for how long it takes to charge. The vacuum is supposed to be charged for 16 hours when it has a completely discharged battery, but it will still only last between 10-15 minutes before you notice a decrease in the suction power. With that short of an amount of time, it can be frustrating to use unless you are only vacuuming a very small area at one time. For the convenience and the price that Amazon offers the Bissell Lift-Off Floors & More, Titanium, 53Y8 Vacuum for, you almost can’t pass up the deal. Since it works well on both hard floors and carpeted areas, it should be suitable for just about any home. If you have a pet, then you definitely need a vacuum strong enough to clean up after them. That’s exactly what this vacuum will do for you. It can be a pain on your back and body to constantly bend over to reach under furniture and other areas, but the convenient folding handle will eliminate some of those pains. It is the ultimate convenient vacuum that any household can benefit from having. Bissell is headquartered in Michigan and was founded all the way back in 1876. They started out as a company that manufactured mechanical sweepers until they expanded their portfolio into larger vacuum cleaners and carpet shampooers. As good as their products are, their customer service is even better. That is one of the reasons why they are considered to be one of the best companies in the floor care industry and also why they are at the top of just about every listing of best companies in their industry.